Restores density, firmness, radiance and comfort. The Face Youth Cream compensates the effects of hormone deficiency on the skin, firms, restores density and provides lasting hydration. Creamy, fine texture that’s wonderfully comforting. This cream restores the firmness of the skin's surface, leaving it comfortably, radiant and luminous. Mature skin: deep wrinkles, loss of density, elasticity and firmness. Lack of comfort and radiance. Apply to the face and neck in the morning and evening. Use as an intense treatment alongside the 21 Days Youth Concentrate. The skin is plumped up, redensified, smoothed and intensely hydrated. The contours of the face are remodelled and wrinkles are diminished. The face glows with new youthfulness. Aucune crème de cette qualité équivalente sur le marché. Dommage qu'il y ait périodiquement des ruptures de stock ! 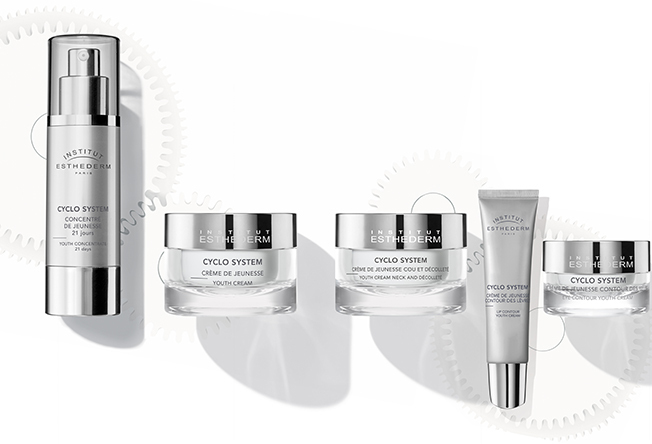 A GLOBAL TREATMENT PROGRAMME TO INCREASE DENSITY AND YOUTHFULNESS, FOR MATURE SKIN. DAILY AND INTENSE 21 DAY TREATMENTS, A COMPLETE AND EFFECTIVE RESPONSE TO THE CONSEQUENCES OF HORMONAL AGEING OF MATURE SKIN: WRINKLES, LOSS OF DENSITY AND VOLUME, LOSS OF FIRMNESS, DRYNESS, LACK OF COMFORT AND RADIANCE. 21 DAY YOUTH CONCENTRATE- NEW FORMULA 21 days is the length of time it takes for the skin cells of young skin to be renewed. this intense treatment restores density, volume and radiance to extremely depleted skin. YOUTH CREAM- NEW FORMULA This creamy and smooth formula gives a new cycle of youth to skin made fragile by hormonal changes. It restores the firmness of the skin's surface, leaving it comfortable, radiant and luminous. 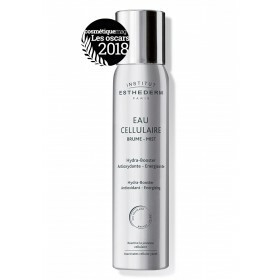 YOUTH CREAM NECK AND DÉCOLLETÉ- NEW FORMULA A real skin firming cream, this sculpting treatment restructures, restores and re-firms the particularly fragile area around the neck and décolleté. EYE CONTOUR YOUTH CREAM An ultra-silky cream comfortable for the fragile skin around the eye. LIP CONTOUR YOUTH CREAM A daily treatment to intensely hydrate and preserve the youthful appearance of the lip contour. CYCLANOL PATENT (compensates for the effects of hormonal deficiencies) The Cyclanol patent, rich in isoflavones and derived from ferulic acid, increases the synthesis of collagen and limits its deterioration. Mature skin is hydrated and plumped.